Drinking from the skulls of my enemies. Within the galaxy of Klegon lies a strange spatial phenomena. Called "The Cage" by it's inhabitants, this naturally occurring energy barrier surrounds an area consisting of about 200sq LY. Within this sliver of space lie six solar systems, each containing between six and eight planets. Of these 4-6 planets, on average 4-7 of them are habitable by some sort of lifeform. This odd planetary alignment has perplexed scientists for centuries, as the odds of it happening, especially with so many stars in one area, are astronomically high. Many have also blamed the strange amount of habitable planets on the gods, though the majority of scientists don't subscribe to this line of thinking, a certain still do. Though the barrier is currently not navigable, many explorers and other seekers of adventure hope that soon, the rest of the galaxy will be open to them. And it is within the mysterious Cage that the iron- fisted Terran Empire, independent Centuri Conglomeration, and piratical Nova League make their subtle and unofficial, yet desperate, struggle for power. Info: Called the dead system by many, Plutus Proxima has been something to fear for most ship captains. With the many spacial anomalies permeating the area around and within system, it's especially dangerous for small cargo ships to travel through. These anomalies have been known to shred heavy plate armor and will completely obliterate smaller ships. Due to these dangerous conditions and a terraforming project gone horribly wrong, the terran empire has blacklisted the system and has banned any citizen of the empire from entering. Despite this blacklisting by the TE, some scientists from both the TE and the Centuri conglomeration have setup small research stations around the systems sole gas giant. Planet type: Carbon base, with high volcanic activity. Sentient species: None, planet has never been habitable. Info: The closest planet to the Plutus system stars, Mors is extremely volcanically active, and has never even been considered for habitation. With surface tempetures reaching above a thousand kelvin, biodomes would not even be a viable option. Some very brave, or maybe just stupid, league members have descended to the surface before, to obtain the beautiful fyrd diamonds that the planet’s volcanoes produce. Info: Erebus, much like the rest of the planets in the Plutus system is considered a dead world. When humanity found the world, terraforming was not even considered, due to the very close orbit it has to Plutus Alpha. There was consideration to turn it into a sort biodomed resort world, but that venture proved fruitless, and the planet has been abandoned ever since. 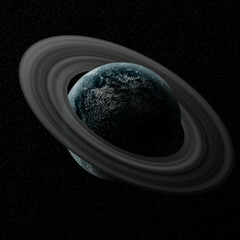 Planet type: Carbon base with a system of icy rings. Sentient species: Formerly necrosians, now a mix of mutants, and hybrids. Info: Necrosis was once home to a flourishing race of near-humans, called the wanderers by humanity, with their official species name being the necrosians. The necrosians, having long ago mastered the upper limits of technology, and having explored as much of the universe as there is to see, had reached a sort of spiritual enlightenment by the time humanity found them. When the terran empire arrived on Necrosis, they were met by skeletal creatures, that simply stared at them wonderingly, and then went back to their constant walk across the surface of their planet. You see, the necrosians had long ago given up speech, and simply viewed these new things in their colorful suits as a distraction, and simply ignored them. For a time the humans and necrosians lived in peace, the humans mining the rich diamond deposits on the carbon planet, and the necrosians simply wandering, occasionally walking through the human biodomes, but generally keeping their distance. After a long 60 years of living in biodomes, the humans had grown fed up with being confined to space suits and heavily shielded domes, so they decided to terraform the planet. Two years after the request for the equipment, the terraformers, large ships that could terraform planets in a matter of days, arrived. The humans quickly evacuated their domes, and sat back and watched as the terraforming went horribly wrong. Instead of turning the planet into a green paradise like it had to every other planet so far, it instead devastated the old planet, every living thing was wiped out in an instant, and the already poisonous atmosphere grew ever darker, and far more toxic than it had ever been. The miners, embarrassed by their actions had the entire system quarantined off as a dead zone, never to be returned to by humanity. About a hundred years later, a terran scientist by the name of John F Notsworth ventured to the planet, and set up a semi illegal genetics research station on the planet. Affiliation: Contested, the Nova league has claimed it, but both the Centuri and Terrans have made attempts to take it in the past. 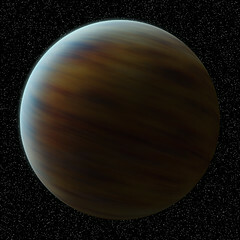 Sentient species: None, as the planet is a gas giant, it is uninhabitable. Info: Keres has always been a spatial oddity among the scientific community as it is much smaller than what has been commonly accepted as the smallest size for a gas giant. Due to the scientific interest in the planet, both the Centuri and Terrans regularly attempt to get a research station in orbit. Planet type: Carbon base, rocky, extremely thin atmosphere. Info: Like most carbon planets, Seker has been unable to support life for the majority of it’s lifespan. Over the last two decades, a Centuri mining outpost was established on the planets surface to mine the rich diamond and carbonide seams present on the surface. Info: When first discovered a group of scientists landed to explore its surface but they were all killed by a tremendous explosion from a volcano rising thousands of feet out of a large and deep gorge. Henceforth none have set foot on its surface but though not officially named, it is always called Volcane after its many and large volcanoes. It has, however, been examined from space by many exploring scientists and has been quarantined as being both highly volcanic and having a possibly toxic atmosphere. None are known to have approached it since and it would be illegal to do so. Strange clouds wreath the planet as well. 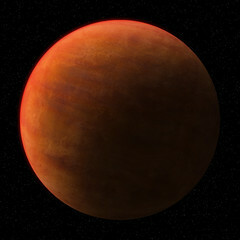 Other then that it has been named, like many or all of the known planets native to the Plutus Proxima system, a dead planet. Info: Often regarded as one of the generally more dangerous areas of the Cage, Taurus Delta, a 8-planet system, holds the highest Nova League activity statistic. Hold by the Empire, while existent, is weak, and rich merchants carrying especially large cargos tend to avoid certain areas of the system for fear of space pirates. But life for humble civilians on planets and cities of Taurus Delta is not as bad as the piratical activity may indicate. Many space pirates, especially League members, have a merry sense of "Rob the rich to feed the poor" and poorer districts often find themselves given a share of pirates' latest heist. Usually N'kell-Patorr and Kal-Suttar find themselves the recipients of these actions, being the most "urbanized" of the planets, while virtually barren or hostile planets such as Vraxis Prime and Sonokus-P1L are ignored. Type: Rocky, large land mass surrounded by (lava) oceans. Species: Humanoids, various bounty hunter species. Info: Situated in the Taurus Delta, Novan stands as a command world to the members of Nova-League. 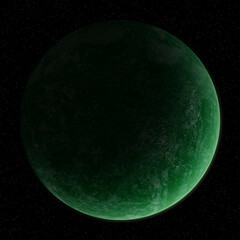 This outlaw infested planet is home to thousands of bounty hunters and consists of a large land mass on which are built 5 cities, two large spaceports and the home of N.A.W.I.S (Nova Advanced Weapons and Intelligence Systems) Inc. one of Nova-Leauge's most advanced weapons manufactures. Quarr: The larger of Novan's two moons, Quarr is a world of ice and snow with numerous chasms and icy caverns. There one (large) inhabited spaceport on the southern end of the planet named after the planet. It is sometimes referred to as the steel dome, as the spaceport is encased in a steel "shell" to protect its inhabitants from the harsh elements of the frozen tundra in which they live. Calrenne: About half the size of Quarr, the moon of Calrenne is lush and tropical, with rugged mountain-scapes sandy beaches This moon is home to a variety of species and contains three large city-like spaceports (in order from largest to smallest): Gutar, Zitri, and Dyn. Type: Barren deserts and wastelands, unbreathable atmosphere. Species: No native species, main inhabitants are factory workers. Info: Sonokus-PL1 hosts a major munitions and weapons factory to supply the bulk of the Empire's armies and Navies. It's barren surface holds little life, necessitating the use of spacesuits. Positively, though, it holds vast supplies of rich metals and gasses, making it an excellent munitions and weapons production base. Large metal factories dominate patches of the surface, making it a prime target for both Centuri zealots and Nova League raiders. For this reason, it is heavily guarded and orbited by two battlecruisers. Info: In 2755 the planet was attacked by the Centuri (Before that they were a neutral planet). Centuri was bad to them and destroyed their small cities. Known are two big cities - Raghdaal Doq (Centuri Army magazines and airport of transport spaceships) and 2nd - Gurdaal - Poor city ocupated by Centuri (like the whole planet), people in this city want a revolution, but they are afraid of Centuri forces. There is also a Centuri Parliament Building. Type: mostly desert, with patches of urban. Info: Since the Terran Empire colonized this planet, originally belonging to the Patorrians and a home for other savage creatures, colonists have flocked to this planet. In the years since, it has become a center of crime. Nova League members and other Smugglers, pirates, and bounty hunters often frequent the shady spaceports. Illegal trade frequently makes its rounds. The Empires hold over this planet is weak, and the few soldiers stationed here often turn a blind eye to the goings on here. Think a cross of Mos Eisley and Nar Shadda from Star Wars. Info: metal projections have been built out of the water and no one knows who made most of them. Most are in a horrible disrepair by the constant crashing of waves. Info: Humans have lived on the surface of this somewhat verdant planet since any care to remember and though these inhabitants are neutral, there are many military bases occupied by either Terrans or Centuri. However the cities are very dangerous as well as many of the men of the Nova League haunt the poorer areas. The safest places are the rural farms and mining areas, or indeed the deserts, if any would care to venture into those dry, barren and uninhabitable places. Indeed, the brave few who do have never returned, so that would hardly be prone to encourage the adventurous spirits. Despite, however, the mining bases and the daring explorers many of Kothron's underground caves and caverns have never been tread on by human feet. Info: Though it is a small planet in comparison to many others, Iralis is full of life and has a breathable atmosphere for humans. Its solid surface is mostly covered by dense, unexplored forest and tall mountains, and the large seas provide clean water for the inhabitants. Two tiny moons orbit the planet, and every few hundred years they come together to form spectacular eclipses, bathing the world in many colours. The Irali society is not inherently warlike, but they are a very territorial people, sticking close to their families and lands. There are four provinces the planet is split up into, known simply as Iralis-1, Iralis-2, Iralis-3 and Iralis-4. No supreme leader holds them all together, but instead the Provincial Governors all come from one body, and so feuds between provinces are extremely rare. Species: Extreme variety of non-sentient lifeforms, consisting of a high concentration of predators and carnivorous plants. Info: The closest planet to the Alpha Centuri binary star, Silvan is covered in think, steamy jungles and dangerous wildlife. All colonies on Silvan are in the trees, as the wildlife is more dangerous closer to the ground. No one has reached the ground and lived to tell the tale. Info: Synthia is also a jungle planet, but with a far more hospitable environment. As Synthia is the largest manufacturing hub in the Centuri Conlgomeration, the surface is scattered with factories and processing facilities. Synthia is also home to several billion beings, who work in the planets many prospering industrial centers. Info: Cygnus is the capitol world of the Centuri Conglomeration. The planet has no known native life forms, but has abundant valuable natural resources, which led to Cygnus being heavily colonized and ultimately becoming the central population center of the Conglomeration. The thin atmosphere makes for high amounts of solar heat reaching the surface and frequent dust storms make it necessary for the inhabitants to live in sealed biodomes on the planet's surface. Cygnus also has two moons, which are also inhabited. Type: A Double Planet. Geminus 1 is an ocean planet. Geminus 2 is a desert planet with low oxygen and high carbon dioxide levels. Info: Geminus is a double planet, with 2 planets of roughly equal size orbiting a common center of gravity, as well as orbiting the binary stars. Geminus 1 is covered in water, with all of the planet's inhabitants living on floating cities above the waves. Geminus 2 lacks an atmosphere, so the inhabitants live in biodomes on the surface. Type: Earth-like, predominant plains, "garden world"
Info: Theris was once a tranquil temperate forested planet, inhabited by the peaceful Therians. Terran colonization of Maesa set Therian development back by decades, reducing the local populations of flora and fauna to drastic levels, and left them in resource poverty even after the Centuri liberated the planet. Theris is slowly coming back as a localized hub with the recent establishing of a spaceport and pilot training academy. As Centuri builds up its military, Theris has managed to position itself as a vital addition in exchange for the resources it needs and is currently a valued member-planet of the Conglomeration. 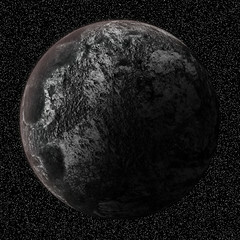 Theris has a single moon, Thera, which has protected status based on religious, historic, and cultural relevance to the Therian people. Therians occasionally make pilgrimages to it, but all Terran industrial development has been dismantled and facilities/amenities are kept to a minimum. Info: On the outer edge of the planetary system bordering Theris lies the planet Colvar, a small isolated planet with little to no lifeforms. Its rocky surface is barren and craggy, pockmarked with craters from asteroids and meteorites from its surrounding belt. The geology of the planet suggests that it was once habitable, with ancient tracts of water still visible on its surface, though now it has neared the edge of its orbit around the star and receives little light, only amassing the equivalent of six Earth hours of daylight. Its atmosphere still holds a little moisture, yet due to the shortage of light the planet succumbs to sub-freezing temperatures and is wracked with vicious snowstorms. Any dwellings on the planet are bio-domes or are built into the many cave systems throughout the planet's now-hollow core. Species: Humans, aliens, hobos (all non natives). Species: Originally Karran, but now Terras is filled with all forms of life. His ship had been blown off course by a large gravity force. After landing on the planet Cyprus and his family discovered the system wasn't toxic to humans, they unpacked their ship and made a life for themselves. Cyprus was one of the best mercenaries of his day, so he trained all of his children to be better than he was. After 15 years three other family's were blown off course by the same gravity force and they to colonized with Cyprus and formed the Mercenaries guild. Within 52 years the population had increased to 500,000. Today Cyprus' children are still the best mercenaries. They eventually sided with the Centuri Conglomeration 250 years after Cyprus and his family stepped foot on Farious Dawns fertile soil. Affiliation: Nominally Terran Empire, but no one has ever explored it. 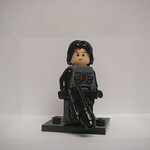 Info: lego3364! can we get a clear distinction between the planet info, and the species info on this one? Species: Humans, cyborgs, and robots for the majority. Aliens are marginalised and live in the poorer slums. Info: A huge disparity in rich and poor has lead to the rich living lives of luxury in massive agri-domes, whilst the poor aliens live in sprawling slums. The entire planet has been urbanised and the original atmosphere has been polluted to the point that only robots can venture outside. The Justicar Enforcer Corps was originally created to police this world, but they proved vital to the Terran military, so now operate far beyond their original mandate. Often heavy-handed and cruel towards off-worlders, the JEC have a poor reputation amongst the alien members of the Terran Empire. Info: Soon after its discovery the Planet of Plutus had been bought by a certain society of super rich humans, searching for a secure place to endure all difficulties and Nova League raids. Over the time more and more wealthy families fled from conflicts and tax regulations and came to live on Plutus. Thus the monumental "golden cities" of Plutus developed. Each city is filled with thousands of families, each living in a spacious apartment or manor. Protected by the mighty Ares space station, no one on Plutus has to fear any kind of invasion or raid. Furthermore Plutus remains neutral in any kind of conflict, only protecting its borders. Space travel to and from Plutus is strictly limited as well. Only family members of citizens or contractors are allow to set foot on the planets surface. Type: Earth like planet. Green and with more mountain areas. Size: approx 1 Earth mass. Species: Ski-Hiirans are a humanoid bird like creature. Info: The planet was unofficially discovered by Kiran, a human from the Terran empire. The planet is green and with more mountains than earth. Of this the birds on this planet evolved into a humanoid bird creature (*think Chima bird race"). 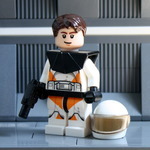 Since they had not been discovered until recently they have more or less lived in peace in their corner of the galaxy. The planet has a few big cities and the Ski-hiirans have an advanced civilization capable of Faster-than-Light travel. But they have been a bit restricted to venture to far in to the galaxy. But it looks like things are going to change with the arrival of the Nova League. Info: Formerly occupied by the Terran military the jungle world Vidako was the location of a high tech bunker, used as a test laboratory for new tech. The recent shifting in galactic politics and the lack of fleet resources forced the Terran military to give up the base and leave the planet. It didn't take too long until Nova League scouts found the base and set it up as a high value hiding spot for the League. Only known by few veteran Nova League members, the base serves as a sort of last resort, if necessary. The base is heavily guarded and packed with Terran tech, thus featuring a neural uplink system to be used by Nova League members with neural implants. The planet does not show up on too many maps and is therefore only known by Nova League members. All data leading to the planet has been purged from the Terran systems by Nova League spies. Info: Moonless Carcosa is sometimes called the "Black World" since its volcanic rock makes it appear black the same way Mars appears red. Because of its ominous nickname and dangerous conditions, Carcosa has many horrifying rumors and stories about it. One would think that no intelligent being would be interested in such a place but it turns out that Carcosa is rich with minerals and Rare Earth elements that, though dangerous to extract, are well worth a continued presence on the planet. Carcosa has changed hands many times as a result, and currently supports bases belonging to both the Centuri and Terrans. As a result, it's a bit of a flashpoint between the two. Its proximity to the Maesa Cluster and the Centuri affiliate world Theris has not improved the tensions as many Terrans believe the recent buildup of military assets on Theris is due to a Centuri plot to take full control of Carcosa once and for all. Info: Vereah has little atmosphere, and what little it does have is toxic. Craters hurtling into the surface is a common occurrence. At the height of the Terran Empire, Vereah had already been a barren and toxic planet that the Empire tested weapons on. One of the trial weapons went horribly wrong. The scientists on the far side of the planet barely escaped from the planet alive. After the Centuri Conglomeration broke away from the Empire and the craters started to smash into the surface, the planet was fully abandoned. Info: The planet Typhnus was a neutral planet until the Terran Empire conquered the planet, it is also on the Far reaches of the Terran Empire so when the times were getting worse there came no help from Terra to calm down the people. Soon a rebellion struck out and they called themselves the Red Hand because the revolution was very bloody. During the revolution many parties were involved including the Nova League and the Centuri Conglomerate and few bounty hunter and mercenary parties. With the Help of bounty hunters and merc's the Red Hand was victorious in driving the three big Parties away from the planet. After a few years the Red Hand had taken complete control of the planet and it's moons, and are now friends with the Terran Empire and the Nova League. Also Red Hand warriors are hired in the Terran Empire for space and water battles along with some planetary battles for their high intelligence, great resilience, high morale, and amphibious abilities. Also home world of Karhn. Info: Glacio is entirely covered in ice. The temperatures there at night are cold enough to kill any living creature. All who live there live in bio domes. They never venture outside of them at night. This planet is a good defensive planet, because campaigns on it's surface cannot last for more than a day, and it's cities are far apart. 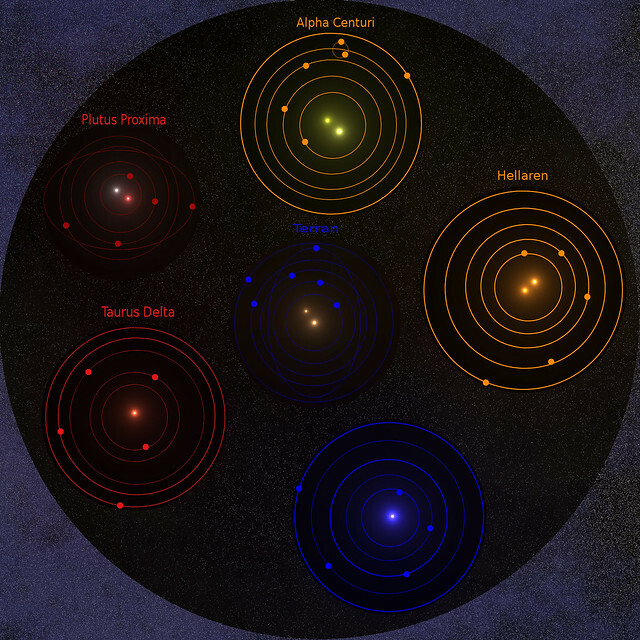 Asteroid belt: 2, small one around Net' hlan, and a larger one in between the terrestrial worlds, and the gas giants. Info: When the First Emperor set gaze upon Saraca he was determined to bring its beauty into the Empire. To tame the wild jungle islands and bring it the light that his new empire was creating. The Emperors ship ‘Eternal Dawn’ landed first at the site of the planets current capital city, Saraca Primarious, and set about securing the planet. The Emperor quickly found out about the locals as his first battle groups meet odd looking lizard like people scurrying up the large Salvard trees now known throughout the empire for their strength and flexibility. These dotted all the larger islands on the planet. The Emperor personally came to meet these new creatures with several ambassadors. Unfortunately the talks ended in conflict and a bloody series of wars were fought over a series of 10 years as the Empire tried and succeeded in bring these new subjects to heel. The Saracans adapted quickly to the Empires weapons and by the end of the wars there were no better insurgent jungle fighters in the universe beyond the Saracan, their still aren't with many now found serving as mercenaries on the edges of survivable space. So when final peace did come to Saraca the empire instead of depopulating the planet allowed the Saracans to join the Empire as full citizens. Saraca now stands as the heart of the Empires training for jungle, semi-amphibious, and insurgent warfare, as well as the heart of luxury wood production from the Salvard trees. As such it boasts dozens of large Imperial fortresses and bases as well of some 40 smaller imperial cities aside from the capital city alongside the Saracan tree communities. Type: Desert rock with small isolated naturally habitable areas of blue-green. Species: none Population made up of miners and factory workers from Imperial citizens and Saracen colonists inhabiting largely subterranean mining and factory facilities. Info: If the Emperors first gaze upon Saraca had driven him to bring that world into the fold his first look upon Net’ hlan had repulsed him. A largely barren rock dotted with moments of blue and green in small scattered habitable areas ringing the central equatorial axis of the world. The Emperor would have left that world at that if not for the work of the surveyor crew. They, without the Emperor’s orders, had taken it upon themselves to land on the world and scout it. What they found on that world, lost inside the inner asteroid belt of the system, was a world coated in intensely valuable mineral deposits and a world in a stable enough orbit, clear of enough asteroids, and jut close enough to habitable for colonization. The Emperor allowed such work to begin and in a matter of weeks the capital factory city New Halberia was finished. The city christened after the Terras city complex where the Emperor constructed his mighty Dreadnought ‘Eternal Dawn’. This planet now stands as the heart of Imperial manufacturing in its section of the galaxy. Its shipyards, located beyond the asteroid belt, and its subterranean factories churning out arms and ships for the ever hungry empire as fast as possible. Info: Sequa is massively depopulated due to fishing operations by the Terran Empire. The native Sequai have largely moved off world, becoming a Cage-spanning diaspora with many groups and individuals joining the Nova League or Centuri Conglomeration where their chances to find gainful employment, complete educations, and enjoy safe lives are vastly increased by comparison to staying on their homeworld. Sequa is a beautiful planet, with less than 20% surface land, and an atmosphere too moist and heavy to support traditional agriculture. There are also few if any notable minerals or gases available on the planet. Terran aristocrats have grabbed up almost all of the available land for villas, resorts, and private compounds. The one bountiful and decisive resource is the fisheries, which are massive and seemingly inexhaustible. The irony for the Sequai is that without these, the Terran Empire likely never would have taken an interest in their planet those many generations ago, and the Sequai would have remained a technologically limited species. Info: Discovered during the Terran survey of the system, Illiaya was immediately marked as a resort planet because of it's lush vegetation, easily controlled climate, and its lack of any animals. Though the survey scientists thought it to be a bit weird for there to be such lush vegetation, yet no animals. but their concerns were quickly dismissed by the Terran government. Type: Pluto like- with a heavy gas atmosphere. Info: Clotas is a 'planet' in the Saras Beta system. It is completely rock, and looks like a quarry planet. But very heavy gasses surround Clotas, making even Bio-Domes impossible. The gasses are a mass of different colors, making Clotas look from the outside very different from what it truly is. Terran Scientists have been working on some way to establish life, but they've had no luck as of yet. Wow! Five posts in a row ! JK. Very nice so far, I really like the progress! Btw are all the backstories the way other people wrote them? If so, will they be updated? Yes, and yes. I am going to be updating them over the next few days. The backstories are mostly the same, though we may change them a bit for clarity or to add more detail. Please PM me if you need any help for my planets. I'd like to be involved if anything is getting tweaked or changed. You two should PM Jackson of Centuri about your planets, as they are in his system. mccoyed please PM me about carcosa, some changes will have to be made to the backstory. If you would like to be involved in any changes made to your planet(s) please PM me, or the mod responsible for the system your planet belongs too. The other two systems are mod created systems and do not contain member created planets. 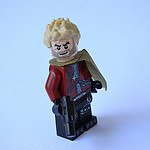 My Flickr | The Brick Tavern | Support my Red Knight model on Lego Ideas!